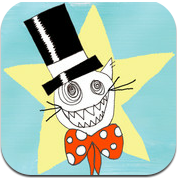 The Magic Cat is a fantastic app for stimulating imagination. Allowing for unstructured creative thinking time and exposure to magical content is a wonderful gift for our kids. This app is a perfect summer adventure for kids. 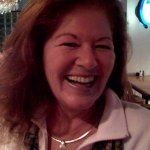 A very charming voice sings throughout in English or Danish! Teddy thinks his rag doll is lost. It’s really been hiding all the while. Tap around the universe with The Magic Cat and help to find rag doll. This app is presented to us by Relax, we are the good guys I/S. Tap Away and Help Find Rag Doll! Chasing the Clothes Line in the Sky! The artist Stine Maria Aalykke out of CAN has written 2 books about The Magic Cat and this app’s is build on the storytelling of the 2nd book, “The mystery of Teddy´s rag doll”. Relax, we are the good guys is a digital shop and we love The Magic Cat and have known him for years and we saw the potential in unfolding the universe musically and digitally so that we could get the kids more involved with the characters. 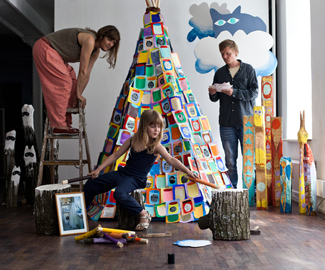 If you ever come to Copenhagen you should go visit the CAN gallery because it is a very nice place to visit.